No. 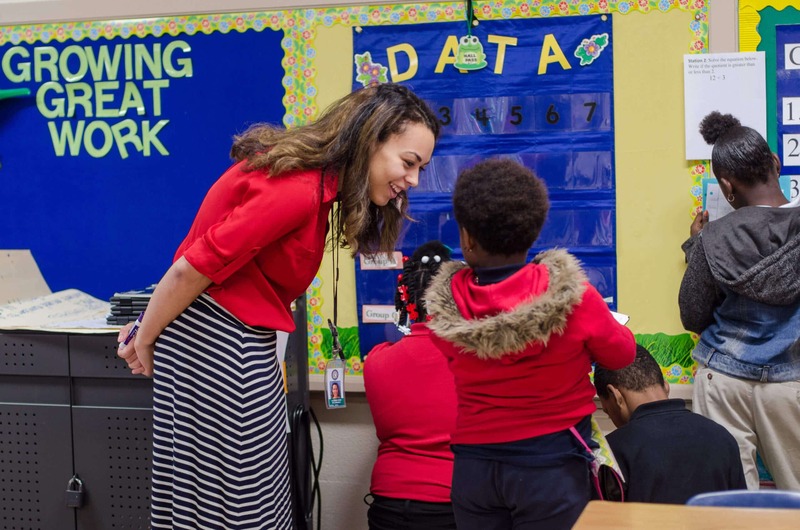 Any graduate of an accredited college or university with a Bachelors degree and 3.0 undergraduate GPA is eligible for Memphis Teacher Residency. Residents are required to have US Citizenship or Permanent Residency, a minimum undergraduate GPA of 3.0, and a bachelor’s degree by the start of the residency year. How competitive is the MTR selection process? The selection process is competitive with multiple stages of review and interaction from application to offers. We are looking for outstanding people who have the desire and potential to be effective teachers in Memphis’ high-need schools. Is a passing score on the Praxis exam for content required for admission to MTR? Yes. For the Elementary Education cohort, residents are required to pass the Elementary Education: Content Knowledge Praxis exam. For the Secondary Education cohort, residents are required to pass the Praxis II Content Knowledge exam required for the specific content area. Please see our Praxis page for test names and codes and information on registration. What if I already have a teaching license in another state? If you already have a teaching license in another state you are still eligible to apply for Memphis Teacher Residency. The State of Tennessee Department of Education offers reciprocity with most states. MTR requires all residents to secure a TN State Teaching license through the reciprocal process prior to enrolling in MTR. Regardless of your license status, all MTR applicants will be required to take and pass all required Praxis exams for the State of Tennessee. All forms for out-of-state licensure are available online. Talk to your recruiter for more information. What is the application process for MTR? Applicants travel to Memphis for Selection Weekend as the final component of the application process. The weekend (Friday and Saturday) is designed to expose applicants to MTR in-person and gain a clear picture of the environment and dynamics of the program. The weekend includes a tour of MTR offices, resident apartments, and partner schools. Additionally, applicants provide a teaching sample, writing sample, and interview with both a graduate and staff member. Selection Weekend is mandatory. When does the residency year begin and end? The Residency year lasts from June to May with orientation events typically starting the last week of May. While the Residency training is a one-year program, MTR requires a three-year teaching commitment in an MTR partner school following the residency year. MTR continues to provide graduates with ongoing support and professional development through their entire teaching career in Memphis. This includes an MTR instructional coach for the duration of the three-year teaching commitment. How much is the monthly stipend residents receive? Each resident will receive a stipend of $12,000 for the full year of June – May. The stipend will be paid in twelve equal monthly installments ($1000 each month), beginning on June 5th, and then on the 5th of each month through May 5th. What does the residency year look like? Visit the residency page for an outline of the residency year. Must I commit to teaching in Memphis? For how long? MTR graduates commit to teach for three consecutive years in Memphis immediately following the resident year. MTR graduates are placed in an MTR partner school and expected to remain in their initial school placement for the duration of their three-year post-residency commitment. Most residents will teach in one of our partner neighborhood schools, and each year a number of residents are hired into their residency school upon graduation. Graduates that do not complete the service agreement will repay MTR $10,000 for each year that is not taught in an MTR partner school, with a maximum of $30,000. Does MTR train residents in all grade levels and all subject areas? MTR trains residents for Elementary Education and Secondary Education in the subject areas of Math, Biology, Physics, Chemistry, English and History, and ESL. In the Secondary Education program, preference will be given to those applying to teach in the Math and Sciences content areas. How are residents matched with mentor teachers? Residents will be placed with mentor teachers in their content and grade level area, and they are usually clustered with a small number of other residents at the same host school. Mentors are recruited and selected by MTR through principal recommendations, classroom observations by MTR staff, personal interviews, and student achievement data. What courses do residents take as part of the Master of Urban Education program? Residents earn a Master of Urban Education from Union University. Courses are offered at MTR’s offices at 1350 Concourse Avenue, Suite 366. These courses and this degree are only offered to our cohort of residents due to the unique characteristics and needs of our program. Yes. MTR requires residents to live in the Parcels at Concourse apartment housing during the residency year. Single residents are paired with another single resident (same gender). Married residents receive half of the cost of the apartment rent and are required to cover the other half through personal resources. Other housing situations may be able to be accommodated on a case-by-case basis and exceptions to living in MTR-provided housing may be made in certain situations. Appliances are included in the apartments. No. Residents are responsible for their own utilities in the apartments. Does MTR offer health insurance? No, MTR does not provide insurance. MTR requires residents to have insurance. Individual health insurance policies are available at healthcare.gov; some residents also find it affordable and possible to stay on a family policy. Does MTR provide options regarding loan forgiveness for my existing student loans? Yes. Please see this Department of Education link regarding loan forgiveness: http://studentaid.ed.gov/PORTALSWebApp/students/english/teachercancel.jsp?tab=repaying.